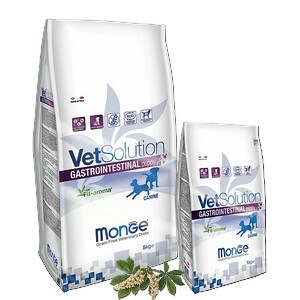 Monge VetSolution Gastrointestinal is up formulated for sensitive dogs in order to promote intestinal health and digestion through nutrition. 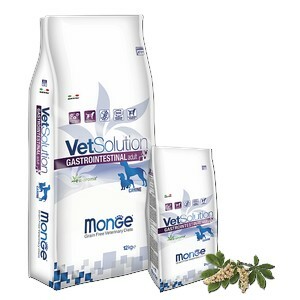 Monge VetSolution Gastrointestinal contains Super Oxide Dismutase to prevent oxidative stress, Xylo-oligosaccharides to secure the intestinal microbiome and is coated with a functional Fit-aroma* providing a tasty and healthy approach of digestive disorders. 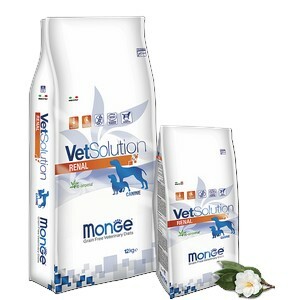 Monge VetSolution Diabetic is up formulated for sensitive dogs in order to manage weight gain and metabolism nutrition. 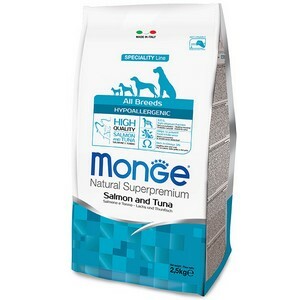 Monge VetSolution Diabetic contains Super Oxide Dismutase to prevent oxidative stress, Xylo-oligosaccharides to secure the intestinal microbiome and is coated with a functional Fit-aroma* providing a tasty and healthy approach of glycemic control. 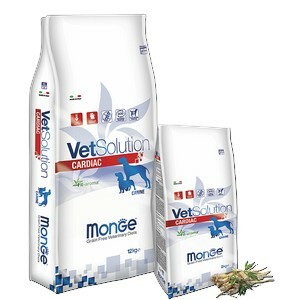 Monge VetSolution Cardiac is up formulated for sensitive dogs in order to maintain cardiac function. 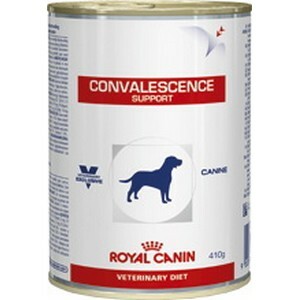 Monge VetSolution Cardiac contains Super Oxide Dismutase to prevent oxidative stress, Xylo-oligosaccharides to secure the intestinal microbiome and cardiac failure. 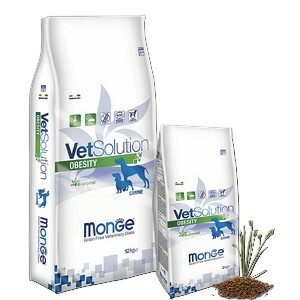 Monge VetSolution Obesity is up formulated for sensitive dogs in order to promote weight reduction and body composition. Monge VetSolution Obesity contains Super Oxide Dismutase to prevent oxidative stress, Xylo-oligosaccharides to secure the intestinal microbiome and is coated with a functional Fit-aroma* providing a tasty and healthy approach of weight loss. 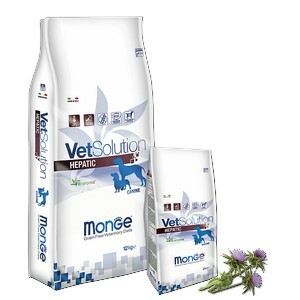 Monge VetSolution Renal is up formulated for sensitive dogs in order to promote renal function through nutrition. 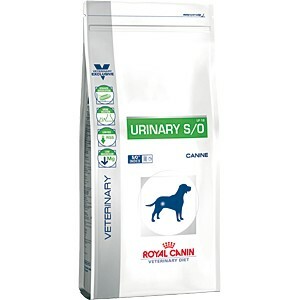 Monge VetSolution Renal contains Super Oxide Dismutase to prevent oxidative stress, Xylo-oligosaccharides to secure the intestinal microbiome and is coated with a functional Fit-aroma* providing a tasty and healthy approach of renal failure. Monge VetSolution Hepatic is up formulated for sensitive dogs in order to promote liver health and function through nutrition. Monge VetSolution Hepatic contains Super Oxide Dismutase to prevent oxidative stress, Xylo-oligosaccharides to secure the intestinal microbiome and is coated with a functional Fit-aroma* providing a tasty and healthy approach of liver disorders. Monge VetSolution Dermatosis is up formulated for skin sensitive dogs in order to promote skin health and beauty through nutrition. 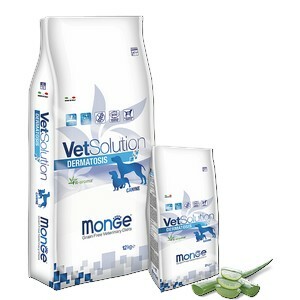 Monge Vetsolution Dermatosis contains Super Oxide Dismutase to prevent oxidative stress, Xylo-oligosaccharides to secure the intestinal microbiome and is coated with a functional Fit-aroma* providing a tasty and healthy approach of skin disorders. Dogs recovering from an illness, surgery or trauma may need specific nutritional support to help maintain strong natural defenses and muscle mass. 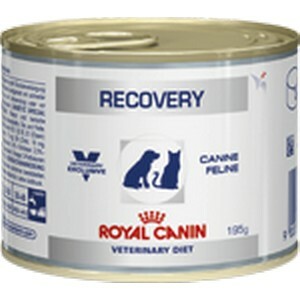 Often during these periods of recovery, dogs undergo significant metabolic and appetite changes. 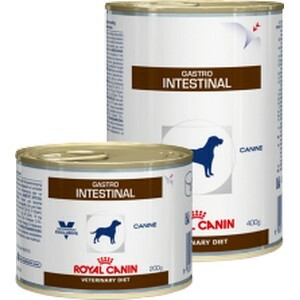 Gastrointestinal is up formulated for sensitive dogs in order to promote intestinal health and digestion through nutrition. 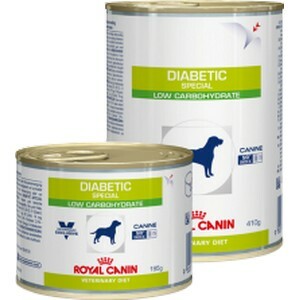 Diabetic is up formulated for sensitive dogs in order to manage weight gain and metabolism nutrition. Hypoallergenic is a complete and balanced food for all breeds that require highly digestible foods. 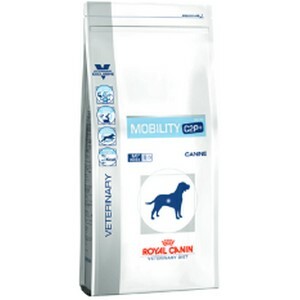 Healthy joints enable your dog to walk, run, play, and keep up with everyday activities you both enjoy. 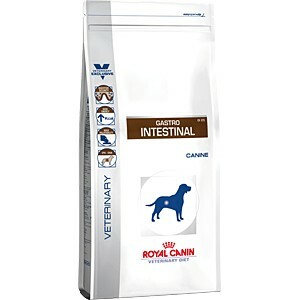 When it comes to dog bladder health, feeding a diet made with the right balance of high-quality nutrients is important. Sensitivity to the proteins in food can result in a variety of clinical signs.